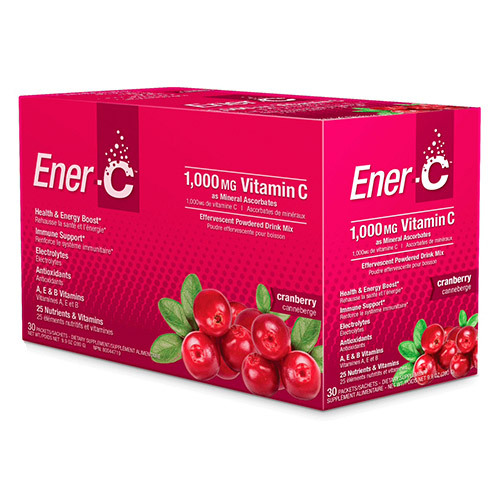 You wanted Ener-C Cranberry and we made it! 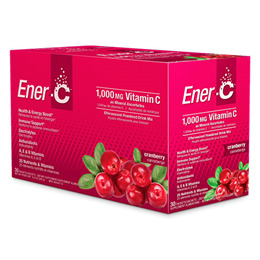 They used the most delicious cranberries on the planet to make their new Ener-C Cranberry flavour. Not only do you get the UTI benefits from our real Cranberry fruit powder, you also get the benefits from over 25 nutrients and vitamins. with only one third of the fruit sugars in an apple. Fructose, Citric Acid, Sodium Bicarbonate, Natural Cranberry Flavour, Beet Juice Powder, Malic Acid, Tapioca Maltodextrin, Caramel Colour, Tartaric Acid, Silicon Dioxide, Aspartic Acid, Glycine, Cysteine HCl. Below are reviews of Cranberry Vitamin C Drink - 30 Sachets by bodykind customers. If you have tried this product we'd love to hear what you think so please leave a review. With Ener-C Cranberry they used the most delicious cranberries on the planet to make their new Ener-C Cranberry flavour.